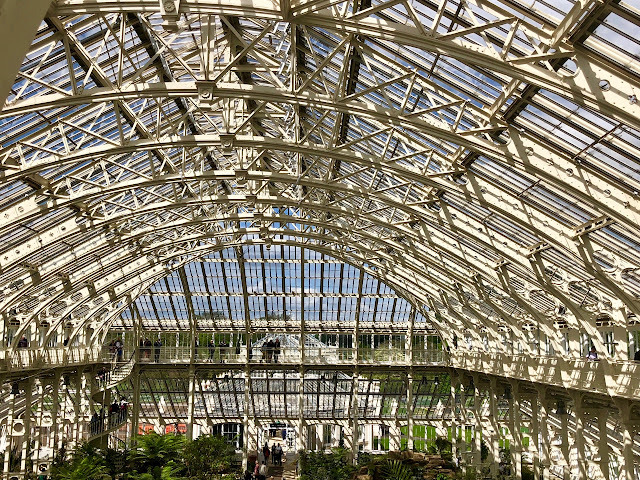 It's a strange thing about gardens ... they're very personal ... so what happens when you visit one that you've heard a lot about and it leaves you cold?? I'm afraid this happened to me today, but I think the property in question is important, given it's magnificent location and history. 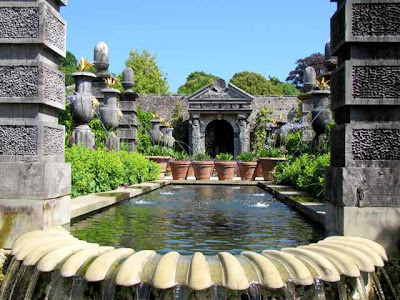 The garden I'm talking about is Arundel Castle Garden in West Sussex, but I suspect I'm alone in my interpretation, since it "delighted" well-known garden writer, Mary Keen. The location is fantastic (although not for the disabled, or anyone with walking difficulties, as the garden is at the top of a steep hill), perched atop the ancient town of Arundel; and the castle backdrop is astounding (above); but the garden is more like a theme park without the rides, than the peaceful haven I was expecting. The Collector Earl's Garden is the main attraction here - opened in 2008 by the Prince of Wales - it's filled with huge modern structures, designed to look ancient, with a central canal pond (above) and a rather heavy domed pergola (below) and a lot of large rocks that seem completely incongruous in the shadow of the fine Norman castle. The garden is named after Thomas Howard, 14th Earl of Arundel, who was known as "The Collector", because of the large number of paintings he acquired during his lifetime. On a positive note, the park surrounding the castle is lovely and there are many fine trees, a rose garden and wonderful views of the castle, so all in all, I'm sure it makes a great day out. But I needed an antidote when I left here, so went to one of my favourite Sussex green spots, which is just a 15-minute drive away - Highdown Gardens, near Worthing - creation of Sir Frederick Stern, high on another hill overlooking the sea, and always filled with wonderful flowers. The irises and peonies are already quite stunning and the Rose Garden will soon be in full bloom. 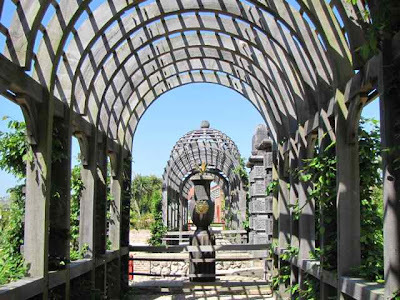 You can rest assured, there's always something to see in this lovely garden and it's completely free! I must not have seen enough gardens in my lifetime to not like that one lol. I think it's kind of neat...although I don't know if I would describe it as 'peaceful' looking either. Really interesting juxtaposition! What a contrast to visit both and be able to bask in the intimate beauty of Highdown after Arundel. 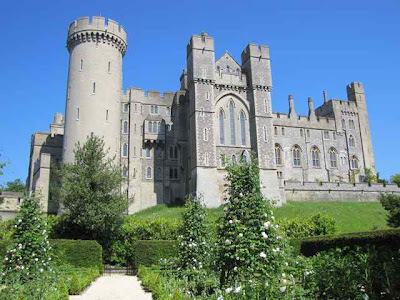 Thank you very much indeed for visiting Arundel Castle and Gardens. Just to clarify - throughout our opening hours we operate two passenger buggies for transport between the gates, the Castle and the gardens that are available on demand to anyone who needs them. I really must drive down to Highdown one day. 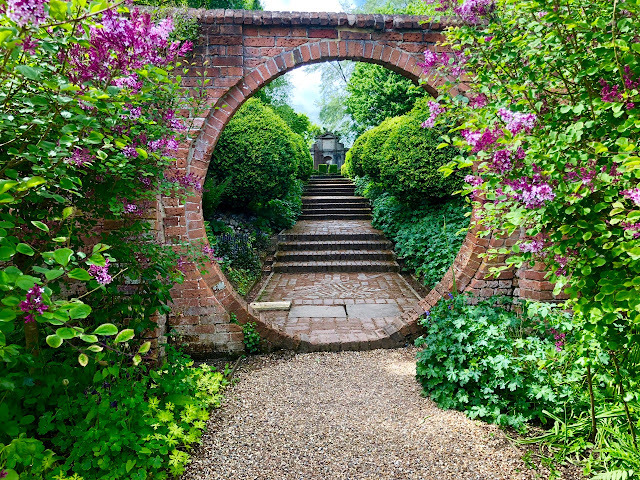 My gardening bible and favourite book is Sir Frederick Stern's 'The Chalk Garden', which describes how he created this garden from an old chalk quarry. 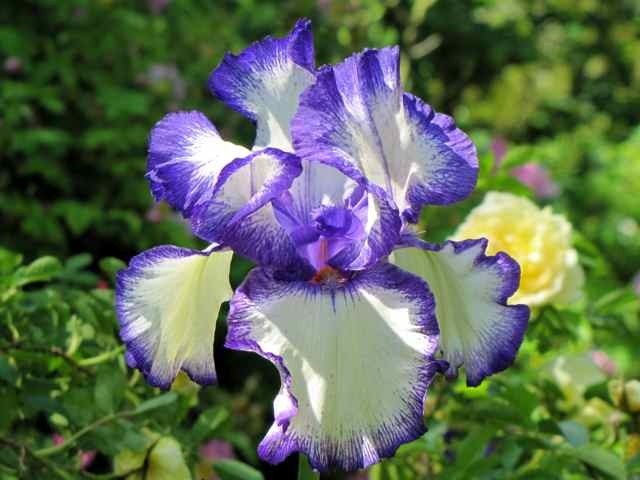 It also describes in great detail the different plants and their varying flowering times. It is a fabulous reference book which I refer to frequently. Anyone reading this comment - buy it! Your photos presented the castle and its garden in a very positive light! Sometimes I don't like large, formal gardens because they lack the spirit of a gardener. They are gardens to look at, not inhabit. it is strange how some gardens grab us and others not so much, and as you say, it is subjective, according to the seasons and how we feel on a particular day but it is important that we be true to our feelings and be honest...so thank you! I agree, if we all liked it all equally it would be dull. Glad to see they have buggies for when I visit in my dotage, and look forward to the hike to get me fit before then! I do remember visiting a few years ago when it was two-coat-cold so there was only a little looking at the garden but my favourite bit was the library... I could have snuck behind a bookshelf and claimed very contented squatter's rights! How wonderful to take this opportunity to visit vicariously. Thank you for the garden tour!